What is the difference between Convenience Care and Vacation Care? Vacation Care services are scheduled when clients are traveling out of town, usually requiring more visits per day and include light-house sitting duties as needed. Convenience Care services are scheduled when clients remain in town and want to provide their pets with attention, care and TLC when their schedules do not allow them to. Both types of visits are fully customizable and may include feedings, walks, backyard potty breaks and enrichment activities. What is included in Convenience Care services? Each visit is custom tailored to your pet(s) and their routine. 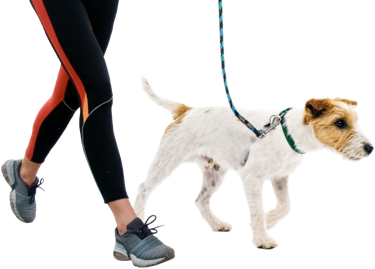 Some dogs prefer backyard potty breaks, or lighter strolls, while others enjoy longer walks. We take many things into consideration during our visits, including the weather conditions and your pet’s health and energy. We always provide fresh water, plenty of TLC, and feedings and medications as needed. Can I pick the times for my visits? Yes! Clients can select their preferred 2-hour window for our arrival through the online portal. If you have a specific time preference within the 2-hour timeframe, there is an option to add a note in your request, and while we cannot guarantee the exact arrival time, we do our very best to arrive at your preferred time.